The September 2008 Los Angeles County Bicycle Coalition's board meeting took place at Philippe’s, a sandwich shop near Union Station in downtown LA. Cafeteria-style lines teem with people on a typical evening, but the meeting took place in a quieter spot upstairs from the dining area. I spent a few hours listening to business items, and then my pulse quickened when someone mentioned a nascent ciclovía committee. Having just returned to LA from Bogotá, Colombia, my partner and I were hoping to get involved with some existing effort to get their carfree event started here. It turned out that while someone had floated the idea of starting a ciclovía committee, nothing had happened yet. We were free to run with it. This Sunday, participating in the fourth CicLAvia, I was reminded that it's pretty surreal to witness people enacting something you hypothesized about for a few years. After that board meeting, my then-partner Bobby Gadda and I wrote a report about how the ciclovía we had experienced in Bogotá could impact LA. "A carfree event in LA could stimulate new ways of using public space," we concluded. Other people thought so too, and in October 2008 a ciclovía committee began meeting monthly. By January 2009, we had a name: CicLAvia. I explained the name in a report I wrote around that time: "Since we want to create a diverse event that brings together many Angelenos, and not least LA’s transit and sidewalk users, we thought it would be best to create a hybrid term that kept the original name somewhat intact while suggesting something in the local context." 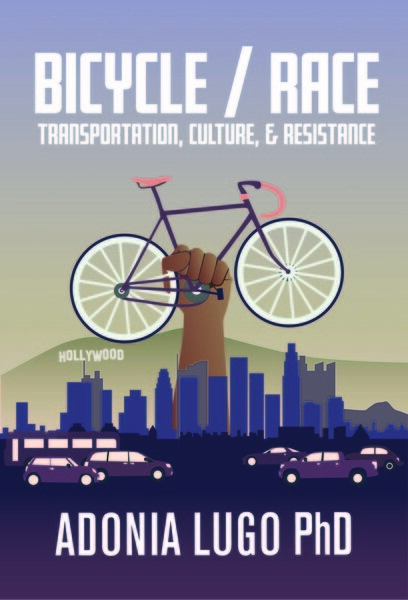 Later in the same report, I asked, "will we be able to find support for a Latin American carfree event in the car-dominated, stratified city of Los Angeles?" In the early days, the core of the ciclovía committee were Jonathan Parfrey, Allison Mannos, Sandra Hamlat, Colleen Corcoran, Stephen Villavaso, Bobby, and me. The committee grew to include people who knew how to make things happen in LA's political, philanthropic, and art worlds: Joe Linton, Aaron Paley, Eric Metz, Heidi Zeller, Amanda Berman, and Daisy Lin. Because CicLAvia plays a key role in my dissertation, I decided to give myself some space from organizing. I kept minutes as the committee and then board secretary until I left LA in February 2011, but even by the time we had the first event on 10-10-10, I was less involved. Sometimes in the last year I've worried that my decision meant giving up some claim I had to the most exciting thing I'd ever been part of. Having chronicled the making of an event like this, the years of logistics, the meetings upon meetings where enthusiastic committee members worked to explain the darn thing to the right people at the right times, I think I lost sight of the main point. CicLAvia belongs to everybody who shows up because they are the event. By spending time out there, each person builds a meaningful place in LA streets, perhaps for the first time in their lives, perhaps for the millionth time that week. What the organizers do is create the conditions of possibility for more people to try it out. Giving people the chance to participate in a happening that interrupts our normal ideas of how to use urban space can have a transformative effect. This is a time when urban neighborhoods are rising in value, and as I've been arguing on this blog, bike projects relate to property values. I think CicLAvia might shed light on the complicated relationship between the people who make places through their uses of them and the people who make money by selling places.